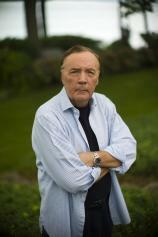 I have never read a James Patterson novel, so I cannot comment on his plots or characters. But midway through reading ALL-AMERICAN MURDER, a true-crime book written by Patterson, along with Alex Abramovich and Mike Harvkey, I was struck by irony. Had the authors pitched an outline of this story to publishers, it would have been rejected as too fanciful even as a work of fiction. Aaron Hernandez wore number 81 for the New England Patriots and was the youngest player in the NFL when his career began after the 2010 draft. In 2013, after starting for the Patriots for three seasons and signing a $40-million contract, he was charged in Massachusetts with first-degree murder. Upon his arrest, he was released from the team. He was tried and convicted, and sentenced to life without parole. He now wore inmate number 174594. In 2017, Hernandez was tried for a double homicide but was acquitted of the charges. Shortly thereafter, he committed suicide in his prison cell. After his death, autopsy results and studies of his brain disclosed that the 27-year-old suffered from chronic traumatic encephalopathy, or CTE, a degenerative brain disease occurring in many football players. "Had the authors pitched an outline of this story to publishers, it would have been rejected as too fanciful even as a work of fiction." Accounts of actual criminal trials are a solid staple of nonfiction writing. Authors often use the trial and the surrounding events to drill down deeply into the history that surrounds the personalities involved in an effort to place the event in the context of the times. 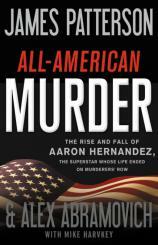 Perhaps because the Hernandez trial is still fresh in our minds, or maybe because it is not the authors’ style, ALL-AMERICAN MURDER is not a deep drill. Instead they skim lightly in their reporting of Hernandez’s life from high school and college football star to his brief NFL career and to his trials and suicide. But this is not meant to be a criticism of the book. Future writers may delve deeper into how everyone could simply ignore Hernandez’s obvious violent behavior and drug use. So long as he was successful on the football field, no one who could have stopped him seemed willing to do so. Patterson and his team provide a detailed chronological account of Hernandez’s violent life. 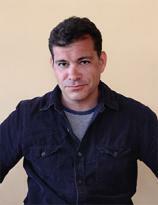 In 2007, he engaged in a bar fight in Gainesville, Florida over a disputed bill. He punched the bar manager, puncturing his eardrum. Although police recommended a criminal prosecution, the matter was resolved by a deferred prosecution. Later that year, Hernandez would be a suspect in a Gainesville double shooting. He chose not to speak with Florida law enforcement authorities, and conflicting accounts from witnesses resulted in no charges being filed. In June 2013, Hernandez would be the suspect in the murder of Odin Lloyd, a friend who had dated the sister of Hernandez’s fiancée. The initial response of the New England ownership was to bar Hernandez from the team’s practice facility because the resulting media frenzy was a distraction. On June 26, 2013, Hernandez was arrested and 90 minutes later was released by the Patriots. In April 2015, he was convicted of Lloyd’s murder and sentenced to life without parole. Another trial followed in 2017, with Hernandez being found not guilty of the murders of Jorge Correia de Abreu and Safiro Teixeira Furtado, who were killed when gunshots were fired in their vehicle. ALL-AMERICAN MURDER spends far more time on the Lloyd trial than on this second case, but every fact presented is just one more piece of the disturbing puzzle that was the life of Aaron Hernandez. Hernandez took his life shortly after the second trial and his transfer to the Massachusetts Department of Corrections. ALL-AMERICAN MURDER covers the who, what, where and when of this saga, but spends very little time on the why. For now, we may never know if intervention by the University of Florida or the New England Patriots might have changed the course of Hernandez’s life. Whether or not his death cuts short that inquiry will only be answered in the coming years.